IN HONOUR OF AN ICON: The Woolgoolga Barracudas stand proudly at the top of the podium at the Queensland Titles in Broadbeach on Sunday. WATER SPORTS: When the Woolgoolga Barracudas took to the water at Broadbeach on Sunday, nothing was going to stop them from victory. Competing in the Queensland Surf Life Saving Championships, the surfboat crew was inspired by the loss of a club icon earlier that morning. 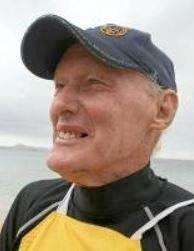 Warren Molloy is a Australian Surf Rowers League Hall of Fame member who had great success as a sweep for Woolgoolga in the mid 1960s. Molloy,affectionately known as "Waz”, competed for multiple clubs throughout his career, which came to an end in 2001 at the incredible age of 71. Highlights of his time on the water included winning two Australian Open Boat Championships, captaining the Australian team in 1972 on a trip to New Zealand and winning the NSW Police Sportsman of the Year award. Molloy was also the author of the first Australian Surf Life Saving training manual. He was 82-years-old when he passed. Barracudas captain Neil Baker said the team dedicated their victory to Molloy. "We found out in the morning about Warren... he is a legend of the club so we made sure we won for him,” Baker said. The win was the Barracudas breakthrough triumph, having trained intensely for more than six months in order to claim a major title. "We've had a lot of carnivals this past month and have done a lot of training for some time now,” Baker said. "We knew we had to put ourselves in a good position in the final to win it and we were able to do that. The Barracudas will know turn their attention to the Australian Titles at Broadbeach from April 1-7. 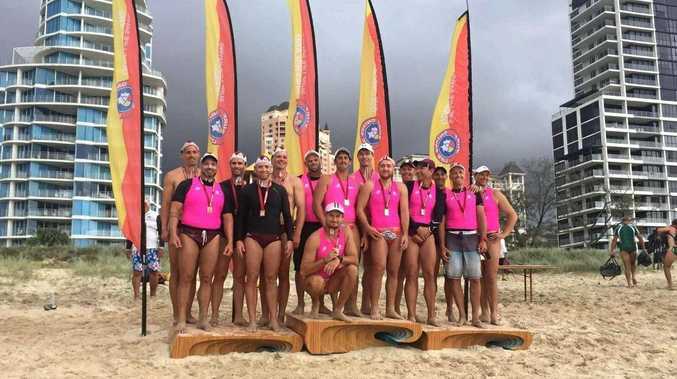 It's been a highly successful period for the Woolgoolga Surf Life Saving Club, with teams also having success at the recent NSW State Titles.